Though Chiang Rai is situated right next to Chiang Mai, it’s such a pity not that many people visit the city. 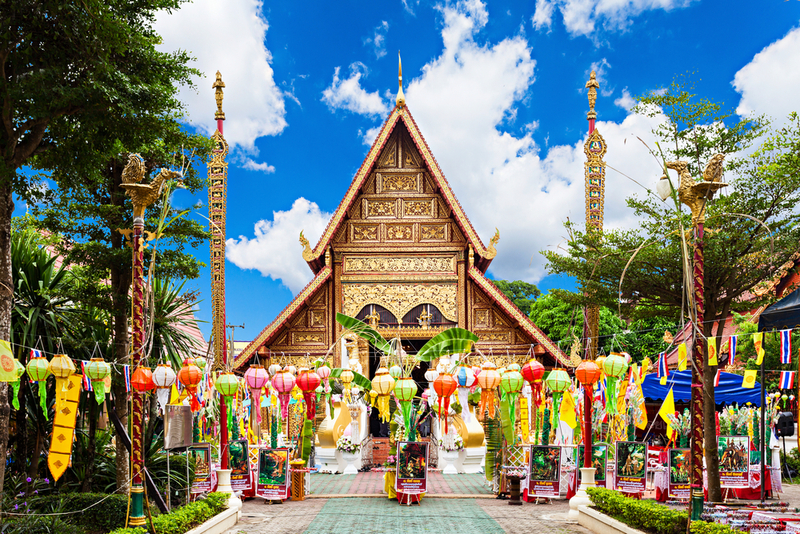 Temples in Chiang Rai are no less beautiful than temples in Chiang Mai and in fact, they are pretty otherworldly. The lovely northern city is also home to flower gardens, tea plantations and mountains. Nature and culture are rolled into one in Chiang Rai and while you might be tempted to compare it to Chiang Mai, the two aren’t twins. So why not visit both for travel memories of your lifetime? Chiang Rai Old City is very walkable, so don’t miss the opportunity to go temple hopping, admire the art and feel its genuine vibes. While Wat Ming Muang, Wat Phra Kaew and Wat Phra Singh aren’t that big, the architecture and sculpture on the temple grounds will take your breath away. You’ll also find the Clock Tower in the old city area and it wouldn’t be a stretch to call it one of the most beautiful clock towers in the world. Designed by national artist Chalermchai Kositpipat, the golden Clock Tower is stunning day and night with light and sound show. 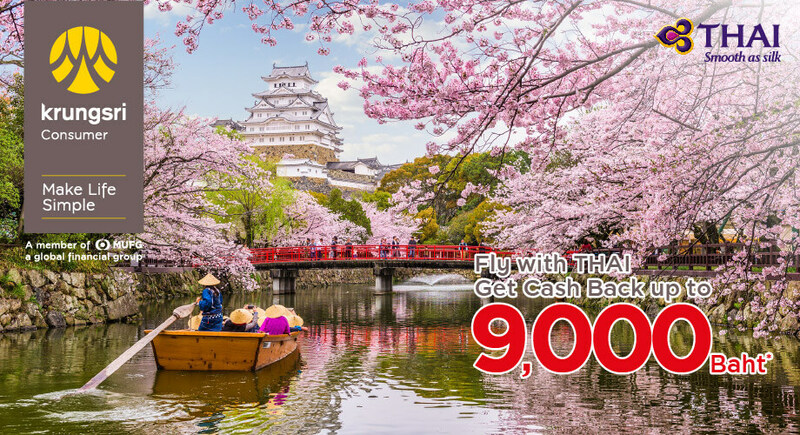 Book a Chiang Rai Highlight Tour. Chiang Rai Old City isn’t only about temples. 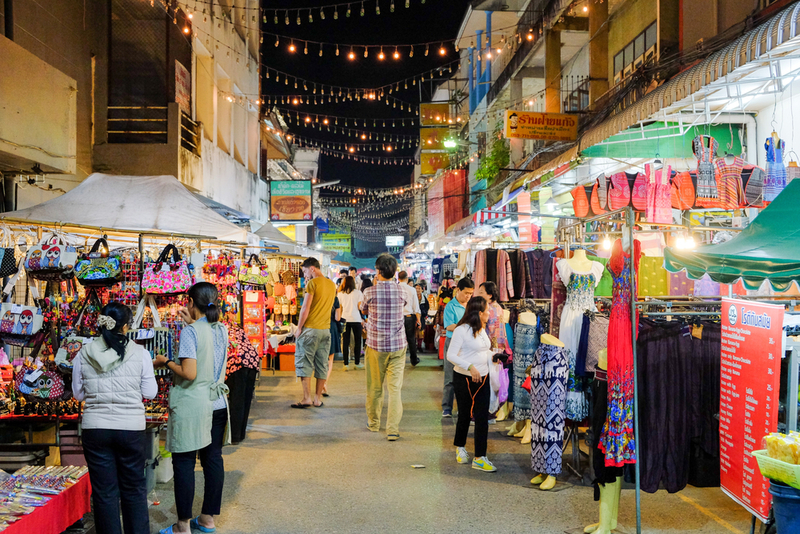 For shoppers, Chiang Rai Night Bazaar is unmissable. Browse through its large selection of local handicrafts, try street food and enjoy the cultural performances. If you come on Saturday, there’s a Chiang Rai Walking Street in the evening with great food and souvenirs. You’re welcome to join the locals for Thai dancing experience. Since Chiang Rai is the hometown of the famous artist, Chalermchai Kositpipat, this is where his greatest work yet lies. 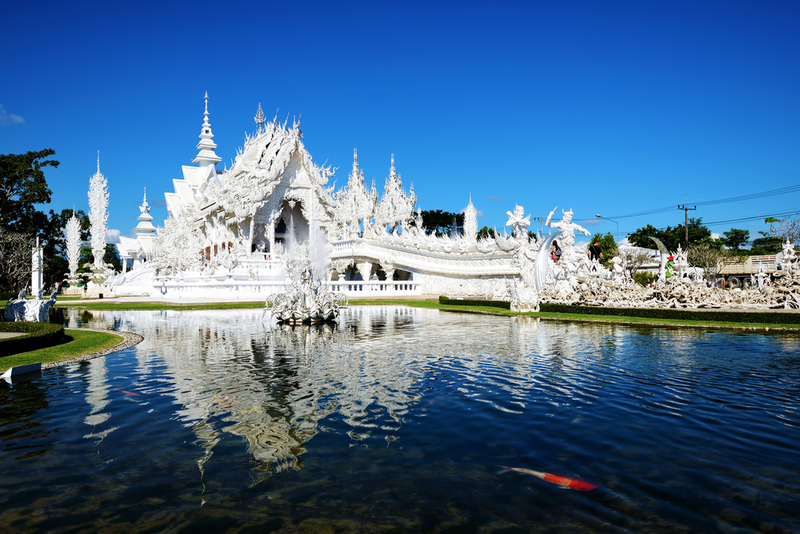 Visit Wat Rong Khun or the White Temple and you’ll realize what heaven is like. Apart from this masterpiece, make sure you go to the Blue Temple or Wat Rong Sue Ten. It will blow your mind. Late national artist Thawan Duchanee was born in Chiang Rai and his home and studio are the embodiment of his ideas and styles. The Black House is actually a collection of over 40 Lanna-style buildings with dark twists and inside you’ll find a plethora of animal remains like skulls and bones. It’s a highly unique experience. 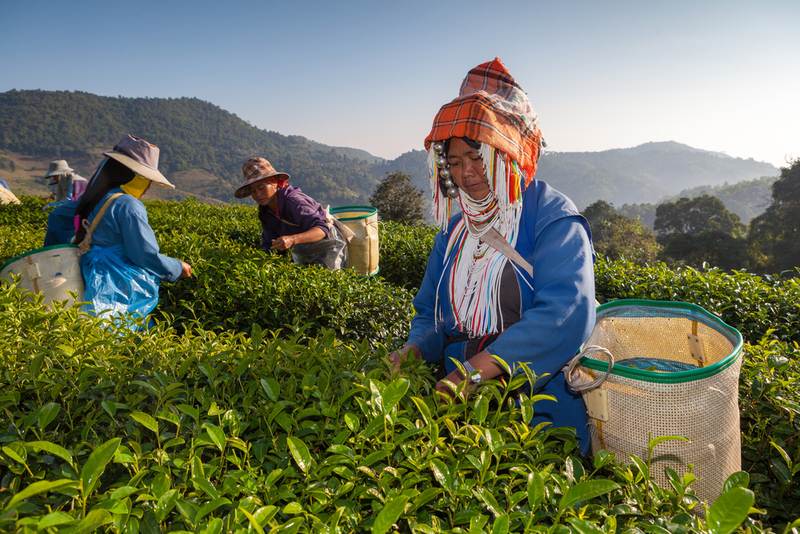 Chiang Rai is arguably the best tea country in Thailand. Choui Fong Tea Plantation is the most easily accessible tea plantation among them and green tea lovers will regret not going there. Drinking tea aside, be sure you try their green tea desserts like cakes and rolls. But if you’re looking for a mountain experience and more tea variety, Doi Mae Salong has great tea plantations and you can taste the award-winning oolong tea while supporting local hill tribes at 101 Tea Plantation. Book a Chiang Rai Top Temple, Singha Park and Choui Fong Tea Plantation Tour. Chiang Rai is the land of flowers, especially in the cold seasons from December to February. 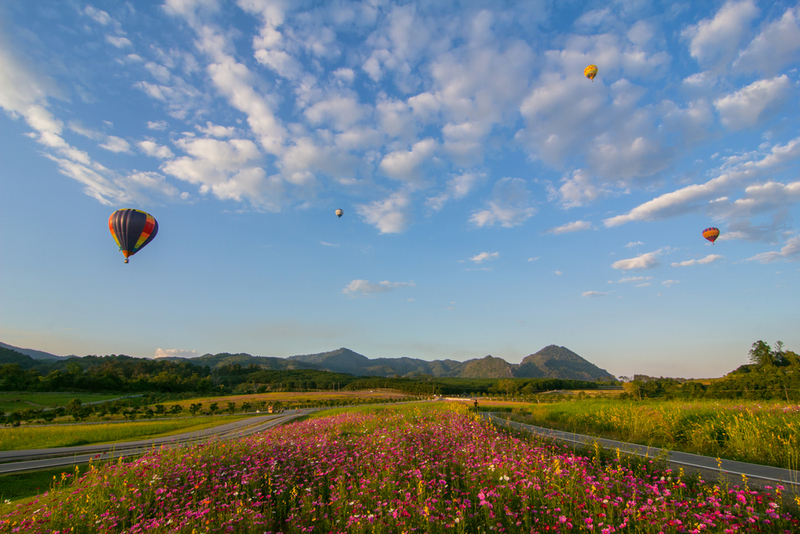 Singha Park boasts not only colorful flower fields but also the International Balloon Fiesta. If you head up the mountain of Doi Tung, you can enjoy the flowers in Mae Fah Luang Garden as well as the Doi Tung Royal Villa. Getting up before sunrise might not sound very attractive, but this will be worth it. 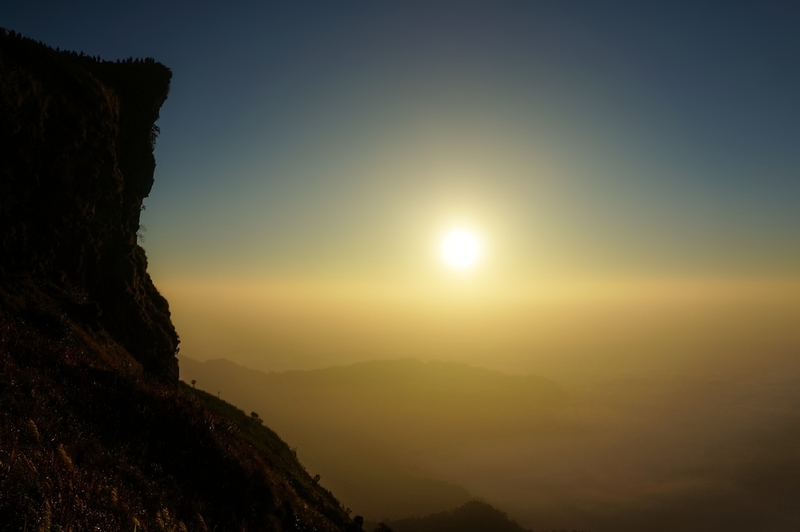 Phu Chi Fa points to the sky and it’s the best place in Chiang Rai to catch not only the sunrise but also the sea of mist. Accommodations and local public transportation are available near the summit, so stay the night. Where the Mekong River and the Ruak River converge, the borders of Thailand, Laos and Myanmar also meet. There’s a viewpoint where you can admire the rivers and the lush forests below as well as a magnificent golden Buddha image on an elaborate boat.